The Fort Bend Children's Discovery Center and MedExpress Urgent Care, a neighborhood medical center, would like to invite Fort Bend families to bring stuffed furry friends for a "check-up" and learn more about what to expect when visiting a doctor's office or urgent care. 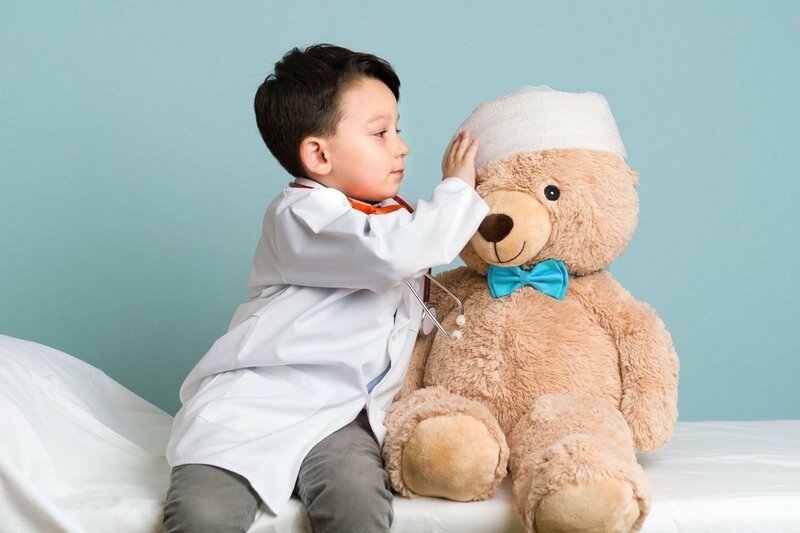 The Discovery Center will host a "MedExpress Teddy Bear Clinic" to teach basic health care concepts to children in pre-school and kindergarten. Friday, April 19, at 11:30 AM and 1:00 PM. Children are invited to bring their own stuffed friends with them and participate in hands-on activities to learn about splinters, germs, sprains and scrapes. MedExpress employees teach children what doctors, nurses and radiologists do, including mock X-rays and applying bandages to a teddy bear named Sniffle. The MedExpress Teddy Bear Clinic is recommended for children ages 3 to 8. @SugarLandDotCom : Great educational event for the kids! @SugarLandDotCom : This is a fun event as well as a great opportunity for our kids to learn. We do this every year at Texas Children's Hospital. We call it the Teddy Bear Clinic. This is awesome! What a great way to teach/introduce kids to medical things.